so that they may render themselves worthy to receive it daily. 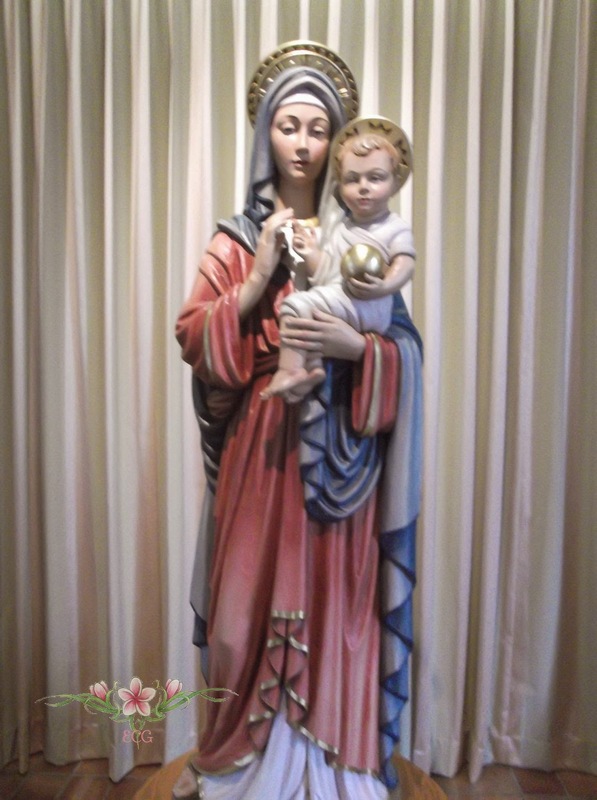 Flowers from the Garden of the Precious Blood. This is a traditional Peruvian dish. It is called Papa a la Huancaina because it comes from Huancayo in Peru. It can be served as an appetizer or a light lunch. But it can also be served as an entree. The following is a combination of my mother's and my auntie's recipe. 2 cups of cheese such as Queso blanco (Puerto Rican white cheese) or cottage cheese. 2 tsp or to taste Peruvian yellow pepper paste known as aji amarillo. There really is no substitute for this delicious tasting chili paste. It will be available in markets that sell Peruvian food products. OPTIONAL 1 tsp. Turmeric powder. NOTE: This is where my mom's style of making this dish differs from my auntie's method as my auntie does not use Turmeric. If you are using Turmeric, heat a small skillet and add the oil. Then add the onions and fry one minute. Add the Turmeric and fry for another minute. Set aside. This can be added to the cheese along with the other ingredients. In a bowl, add the cheese, the Aji Amarillo, the lemon juice and onions. Mix well or run the cheese and other ingredients through the food processor if a smooth blend is preferred. Taste to adjust the heat level of the yellow pepper paste and salt content. To serve: Line a platter with the lettuce leaves. Lay the potato halves on the lettuce leaves. Pour the cheese mixture over the boiled potatoes. 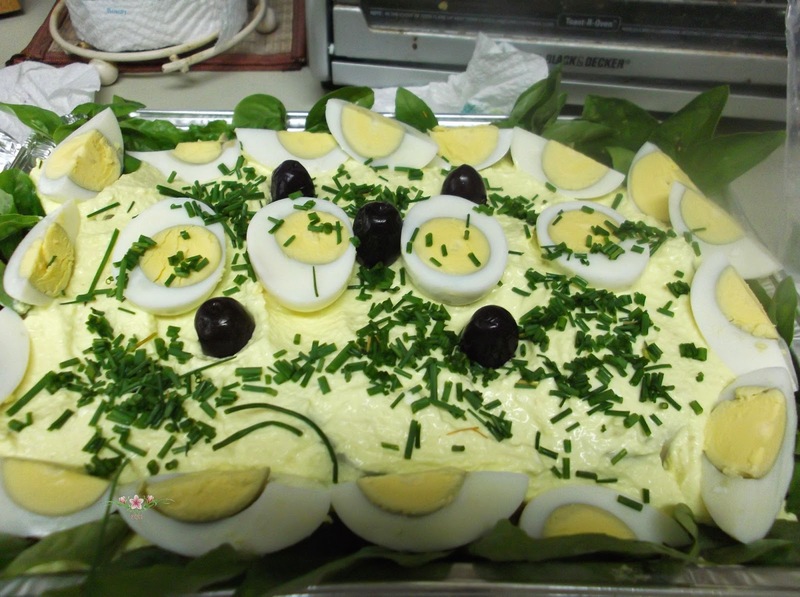 Garnish with the boiled eggs and olives. Minced parsley can also be used to garnish. I have not seen your face today. A hundred others came to pray. at thousands who have, kneeling praised. You had not time?__Oh! so you said. While My sad Heart in silence bled. Among Your friends long hours you spent. I do not like to be alone. Tomorrow you will surely come. Ah! Could you not one moment spare? VATICAN CITY — On March 13-14, the Vatican is hoping churches worldwide will participate in an initiative to stay open for 24 hours to underline the need for prayer, contemplation of the Eucharist and a chance to go to confession. Pope Francis will open the Lenten initiative, called “24 Hours for the Lord” by presiding at a penitential celebration in St. Peter’s Basilica on March 13. 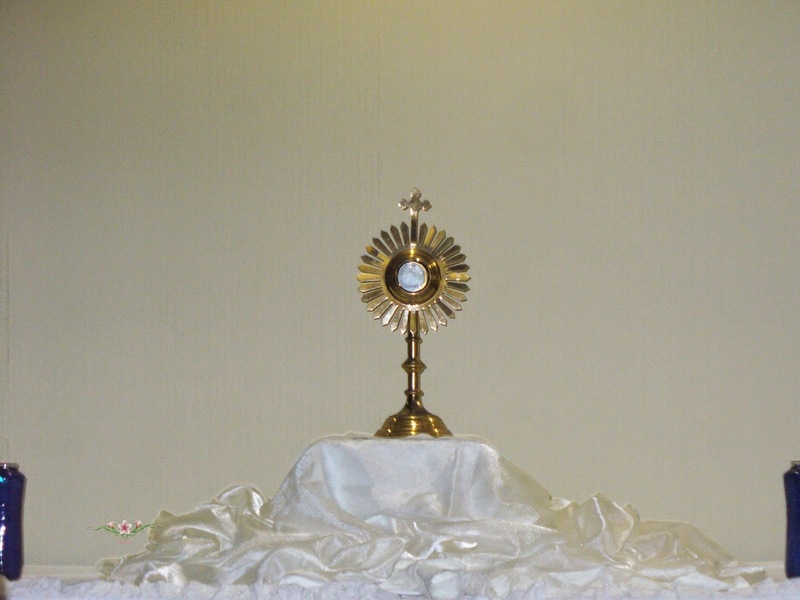 Following the conclusion of this service, a number of churches throughout Rome will remain open for 24 hours, with confessors available as well as Eucharistic adoration. The Pontifical Council for the Promotion of the New Evangelization, which is organizing the initiative, has invited dioceses, parishes and communities around the world to adapt the initiative to their local situations and needs. It has produced a poster to help with the event, as well as a pastoral booklet in Italian, English, Spanish, French and Polish. The resource “will enable all people, be they near or distant from the Church, to reflect upon and celebrate the great gift of God’s mercy and forgiveness,” the pontifical council says. To download the poster and acquire this pastoral aid, please go to NovaEvangelizatio.va.